Boy it has been a few crazy days here on this blog with all the drama over those UP plates. I want to say a big thank you to those of my followers who understand where I'm coming from and know that I am dedicated to telling you guys the truth even when its ugly and sad. 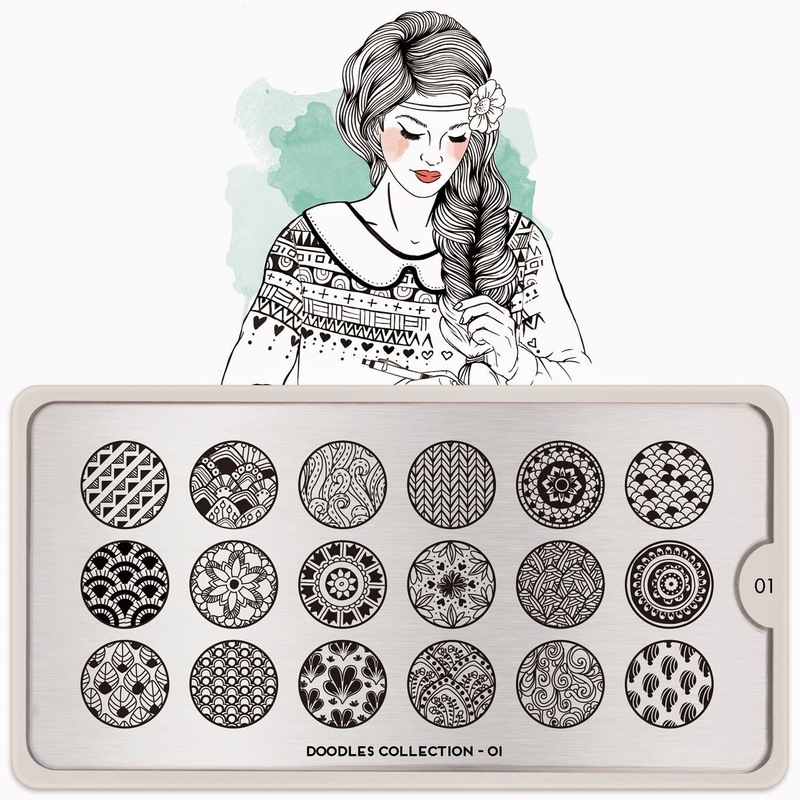 Now I'm so sick to death of this entire situation and ready to move on to the things we all love about this space - plates that are actually gorgeous and well etched and worth our time and investment! 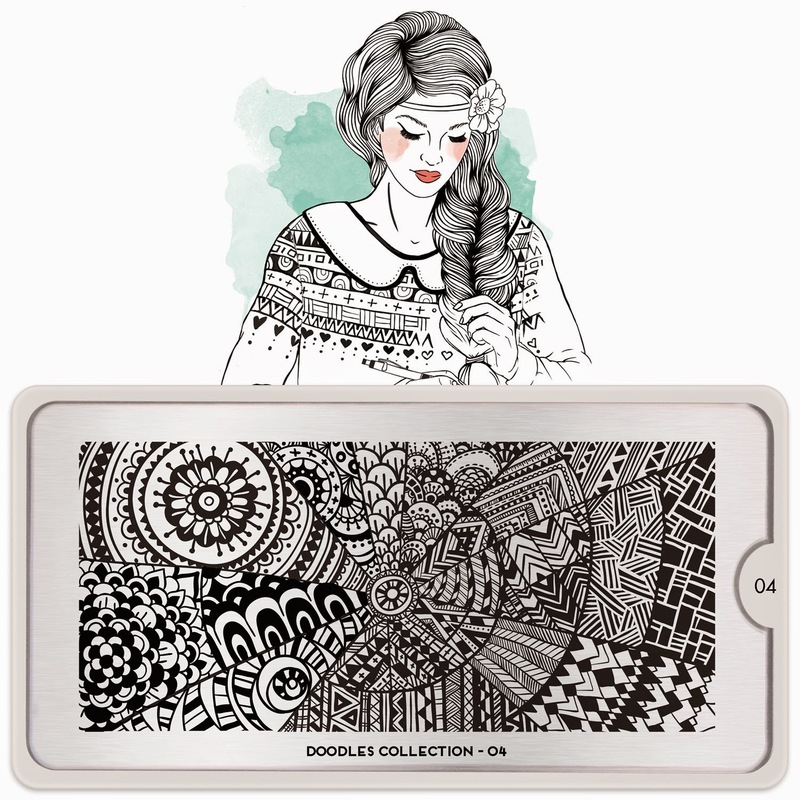 So let's talk about this new Doodles Collection that MoYou London will be releasing this Friday. I have to admit after seeing the images I'm enchanted. 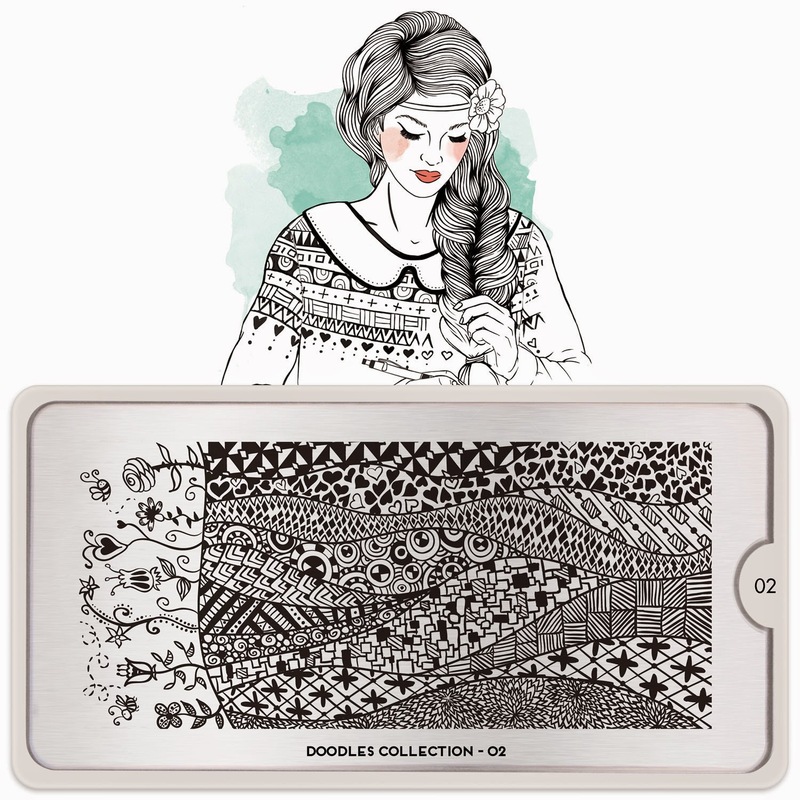 They do not at all have the feel of the doodles we saw from MoYou London previously from the Scholar Collection and I have to say I'm glad because they are gorgeous! Let's take a look. Meet Daria. Boy oh boy is she gorgeous! I really hope MYL creates an image just of her cause she's beautiful and I love her fishtail braid! PACKED~ Lol dang this plate is so full my eye doesn't know where to look. At first glance I wasn't sure about this plate it has too much stuffed into it. Then I realized I used to create doodles that were similarly crammed when I was in middle school and these isolated segments will translate over really cool onto the nail. Now I'm excited for this plate. I will admit even the doodles at the very far left of the page that have the Scholar feel to them are cute since they are in moderation. Yes! This plate reminds me a lot of certain segments of the DRK Designer's Series plates that released a few months ago. 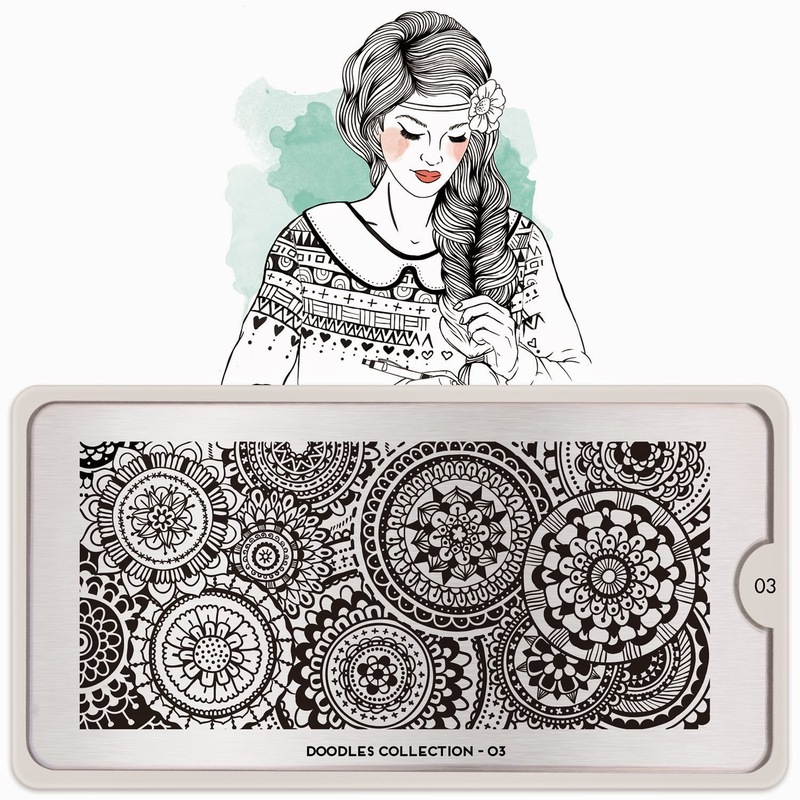 But only one small corner and the designs are a bit different. Because I don't have that big plate from DRK this is VERY attractive to me. Phew! You know that whistle sound someone lets out when they are insanely impressed? I'm making that now. Hoooooo! Lol I want this plate badly! See those tribal like patterns they snuck in? ***Dies*** Gah!!!!! I really love the whole collection and plan saving my pennies to buy the whole collection. I love these plates, every one of them.